Editor’s note: Applied Radiology and Delphi Radiology Associates convened an Expert Forum on “The Pursuit of Excellence in Breast Health: Challenges, Opportunities, and Successes” recently with five breast imaging specialists to discuss current issues related to breast health. This is the first in a series of continuing print, online, and multimedia updates from that Expert Forum, which are all being made possible by the financial support of GE Healthcare. The opinions shared are those of the author(s) and/or those of the panel participants, and are not necessarily those of GE Healthcare and Anderson Publishing, Ltd, publisher of Applied Radiology. Sarah Conway, MD, a Diagnostic Radiologist and President of Delphi Radiology Associates Consulting, served as the panel’s moderator. Breast imaging technology available to radiologists and their patients has improved dramatically over the past 20 years in the United States. Women in 2016 expect a personalized, patient-focused experience and fast results. 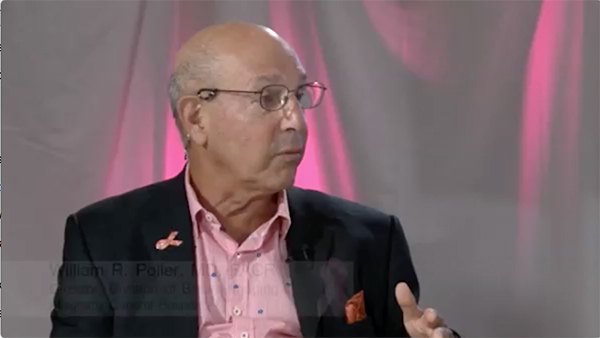 Stellar performance at all levels is expected of breast imaging departments and dedicated breast centers, even as the percentage of women requiring breast cancer screening exams escalates in the general population. However, today there are challenges relating to breast cancer screening that did not exist decades ago. 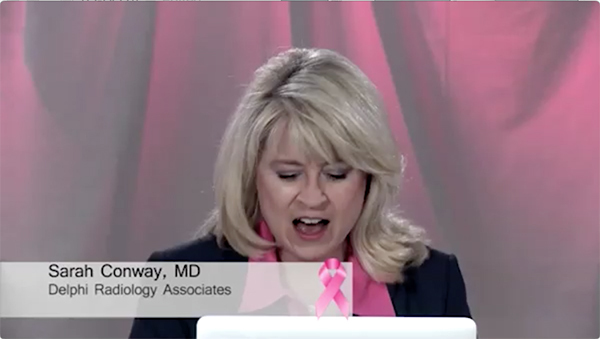 Sarah Conway, MD, President of Delphi Radiology Associates Consulting posed many questions to the panel and discussed the fact that screening mammography guidelines from respected professional societies and medical organizations are no longer in alignment. Dr. Conway emphasized that they are “inconsistent, ambiguous, and confusing” to both physicians and patients. As a result of this lack of clarity in screening mammography guidelines, Dr. Conway believes that patients are now at greater risk for undetected breast cancer. Differing screening recommendations and guidelines have made it a challenge to convince patients who need a breast examination to have one. Radiologists know more about breast cancer detection than any other medical specialty; it is their responsibility to convey this professional knowledge to physicians who refer patients and to patients themselves. The panelists were adamant and unanimous about the need for radiologists to be proactive. Georgia G. Spear, M, who is the Director of the Clinical Breast MRI Program, and Clinical Assistant Professor of Radiology in the Department of Breast Imaging at NorthShore University Health System, said that the majority of women under age 40 who have a mammogram at one of the NorthShore University Health System facilities come because they discover a lump or feel something else unusual during a self-exam. Dr. Spear and Erin I. Neuschler, MD, Assistant Professor of Radiology and Director of Clinical Research in the Department of Breast Imaging at Northwestern University Feinberg School of Medicine, both observed that because women diagnosed with breast cancer at a younger age often have more aggressive cancers, and because the incidence of breast cancer increases starting at age 40, women between 40 and 50 benefit the most from mammography screening in terms of reducing the risk of undetected cancer. Therefore, they and the other forum participants deplored changes in guidelines that have been recently issued by respected organizations to increase the age of both baseline and regular mammography screenings. Dr. Conway outlined the most recent screening mammography guidelines issued by the U.S. Preventive Service Task Force (USPSTF). The USPSTF, whose members do not include any breast imaging specialists, recommend only a biennial screening mammography of women aged 50 to 74. “Adherence to this guideline would cause approximately 6,500 additional women to die from breast cancer,” stated Dr. Conway. Be consistently proactive. Communicate directly to primary care physicians, nurse practitioners, internal medicine specialists, obstetricians and gynecologists and any other referring physician. Work to constructively educate and to eliminate confusion. Educate medical students and primary care residents as they rotate through a radiology department. Take advantage of this opportunity. Don’t assume these future doctors are going to follow the guidelines of the American College of Radiology (ACR) and other specialty societies. Be candid about radiation dose exposure and the limitations of mammography. Then discuss the benefits of all available breast imaging technologies. Educate patients and have clinical and support staff teach patients about the benefits and limitations of mammography, and what is recommended for them specifically at their age and risk level if they have dense breasts. Establish a program to identify patients at higher risk or to refer potentially high-risk patients to these programs. Breast cancer screening may be the only wellness-related physician-interaction visit a healthy woman has on an annual basis, said Nina S. Vincoff, MD, who is the Chief of Breast Imaging at Northwell Health and Assistant Professor of Radiology at Hofstra-Northwell School of Medicine. It’s important that the experience be positive, informative, and as stress- and hassle-free as possible. Nina S. Vincoff, MD, Chief of Breast Imaging, Northwell Health Physician Partners. Overcoming Challenges to Deliver Breast Screening Excellence. Appl Radiol.